As many of you know, I’m a bit of a history buff. And by a bit, I mean I’m obsessed. We can’t truly understand ourselves without first understanding where we came from. History gives us a window into our spiritual evolution throughout the centuries. It shows us the big picture—where we’ve been, where we are now, and where we might be headed. Examining our history gives us a fresh perspective… especially when it comes to food! 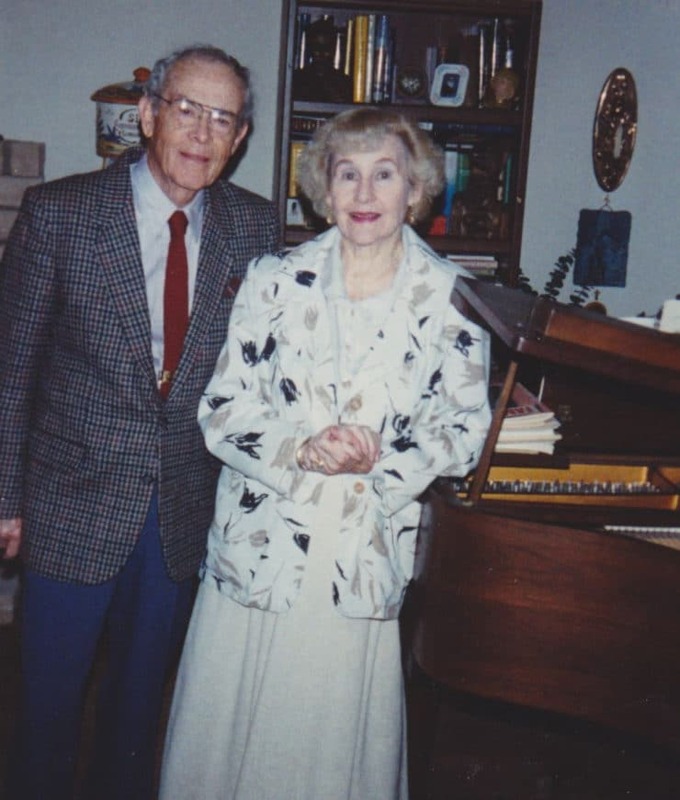 My interest in world history was encouraged and nurtured by my paternal grandparents, Clarence and Lois Avey. In a past blog I introduced you to my maternal grandma and her sister—Carolyn and Pauline—who passed down to me their love of cooking and family holiday traditions. My paternal grandparents shared very different gifts with me, gifts that shaped my worldview and made me who I am today. 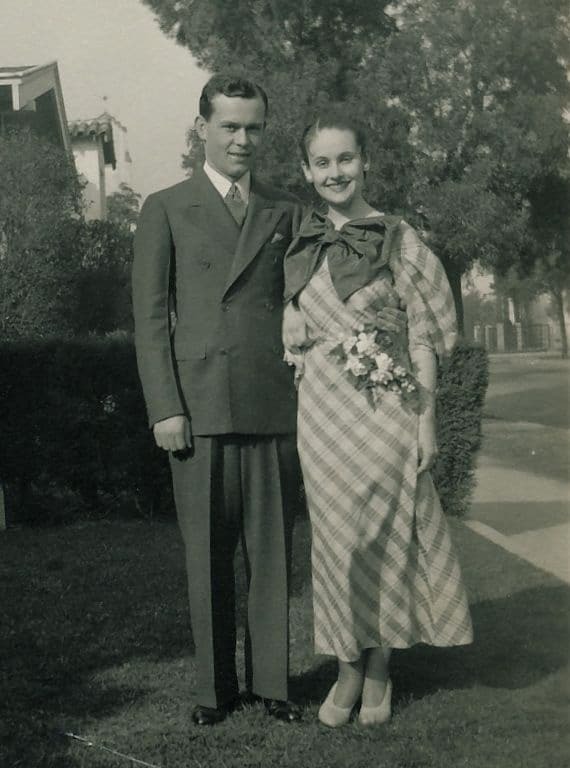 Clarence and Lois get married – February 1, 1934. They were married in the middle of the Great Depression. My grandma sewed her own wedding dress! Clarence and Lois were married for 73 years; they were soul mates in the truest sense of the word. They were more than grandparents to me; they were also two of my best friends throughout childhood. I had the privilege of spending lots of quality time with them as I grew up, and they had a major influence on me as I matured. They grew up in the midst of the Great Depression. Grandpa Clarence was born in the same year as Jean Harlow, Lucille Ball, Gypsy Rose Lee, Gene Harlow, Butterfly McQueen, Roy Rogers, Ronald Reagan, and my favorite playwright Tennessee Williams. Grandma Lois was born in the same year as Richard Nixon, Danny Kaye, Rosa Parks, Jimmy Hoffa, Etta Baker, Gerald Ford, Vivian Leigh, and Heddy Lamar. Grandma was an artist, pianist, and homemaker; she knew how to knit, sew, paint, garden, and scrapbook. Grandpa spent his retirement reading history books about ancient Rome, the Greeks, and European history. In their sunset years they traveled the world, seeing all of the places that Grandpa Clarence loved to read about. They even lived in Spain for a while. In the precious time I shared with them, they encouraged in me a love of travel, art, music, culture, learning… and history. Grandma and Grandpa Avey passed away a few years ago—first my grandma, then my grandpa a few months later. Their death changed me in many ways. It opened my eyes to the fragility of life, reminding me how much I want to accomplish in the time I have left here. I felt a renewed sense of purpose. I began to research my ancestry to learn where exactly our family came from. I also re-immersed myself in the history that my grandpa adored, finding it a way to connect to him even after his passing. Who wrote the world’s first cookbook? 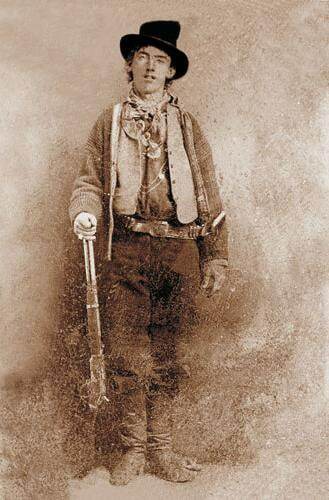 Did Billy the Kid eat barbecue for breakfast? 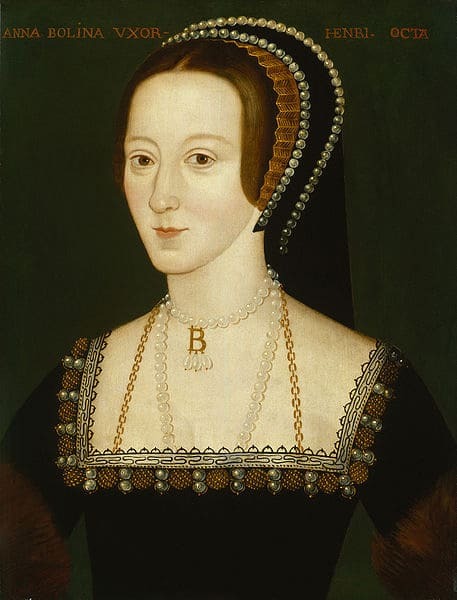 What was the last meal served to Anne Boleyn, wife of England’s King Henry VIII? I’ve already branched out a bit into Biblical food history, and I’ve received a positive response from many of you. It’s something that I am passionate about, and I’m ready to do more of it. So here’s the deal. I will still be posting my weekly Jewish recipe and blog, just as I always have. In addition to that, I will also be posting periodic blogs about different food history topics. Often, I will include a recipe from the time period so you can “taste the history” yourself. This means more of what you enjoy—more recipes, more history, more food photography, and more good eating! I hope you all enjoy this expansion of my blog. This has been an incredible journey so far, and it’s so great having you all along for the ride. Comment me and let me know what you think, and which periods of culinary history you are curious about. Let’s dive in and explore food history together! Just came across your Latka recipes and comments section. The person saying Romanian’s didn’t know of potato Latkas did not know my Grandmother. Born (1889) and raised in Romania made fantastic potato Latkas and her mother taught her how. So maybe this person is in a community that has forgotten some of its fare. Though, of coarse, both corn and potatos came on the scene only after the 1600’s. I was intrigued by your excellent falafel recipe and all the variation. I have made that main recipe many many times over the years. Seems pretty standard. Unfortunately it never lives up to a falafel genius who made them in a little hole in the wall restaurant on west fourth street in the village, new york city. He was open for maybe a year or two back in the late 70’s when I went to NYU. I would go there every day. Sometimes twice a day. Nothing I have tried, in Israel or in the US comes close. Now, it has been more than 30 years, but I still have an good memory of the taste and texture. It was citrusy without being lemony, so I’ve come to suspect sumac. But the problem with sumac, I have learned, is that it turns everything red or brown. These falafel were a light chickpea color. They had some clove, I’m pretty sure, and some cardamom. They had a lot of garlic – more than you normally see In recipes such as yours. Not much cumin, but definitely some. And definitely coriander. No hint of green… No cilantro or parsley. Finally, he made these falafel very wide and flat. He used an implement I have not been able to find anywhere – not even in Brooklyn on atlantic avenue. The classic falafel device has a grip and disc- shaped holder that has a base at one end that retracts downward when you press lever, and shoots back up when you fill it with falafel mix. Instead, this device had a much wider platform and half the height, with a manual pushing mechanism that ejected the falafel mix very cleanly into the oil. Speaking of oil, I think he used peanut oil because it had a slightly nutty flavor. Anyway, have spent many hours trying to reproduce this astonishing falafel and trying every vendor in each country and town I visit. Only one place on east 10th street – an Egyptian place – comes somewhat close – a “6” compared to the other genius “10”. Dear Shiksa (I am one, too, LOL! ): I just found your blog today and am enjoying it. I haven’t nearly gotten through it, but I will be back to visit OFTEN. 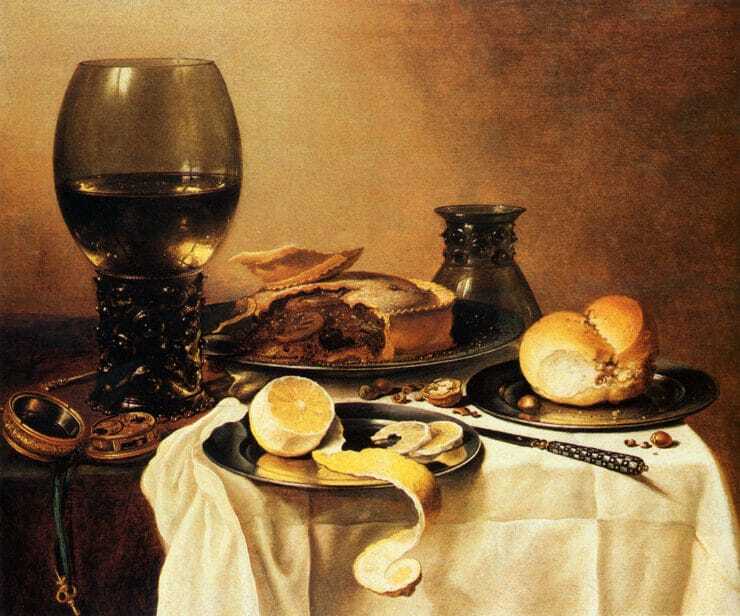 In the meantime, since you are a food history buff, I thought you might like this blog of “The Old Foodie.” http://www.theoldfoodie.com/ I have no relation to her or her blog, but I just like it and thought you might. Can’t wait to see the rest of your stuff! Thanks for publishing! Hey Mel, thanks for the link! Looks like a fabulous food history blog. Adding it to my Google reader. Glad you’re enjoying the site! Shabbat Shalom! My husband is from the West Indies (Carribbean), and the food his family makes intrigues me. I’m forever looking for recipes from there, but they are so varied. There seems to be such a conglomerate of food (since so many different types have had an influence there, and although Indian food seems to be the most dominant influence, there are elements of so many different cuisines there. I would love to see a blog (and maybe a recipe or two) about that! I love your new idea. I enjoy the tastes of the world. Will the foods be kosher. In historical times one needed to use foods and animals that easily reproduced and were inexpensive. Henceforth pork was a main staple. OMG! I’m so excited about ur new blog – I’ve watched countless hours of Food shows over the yrs (even taped many from public t.v. in NY & sent them to my late mother in Cleveland) – “Moto Mario” covered food from various regions of Italy & “The Frugal Gourmet” w/Jeff Smith was often filmed from a particular country (or American home) of various nationalities; food is much more than sustenance it is part of the fabric of people’s history & culture, i.e. historically & Religiously – thank you ever so much! # of my grandparents were Slovack & the other was Ukranian…..
this really is a positive, uplifting and inspiring blog and i am fascinated by the wealth of ideas. 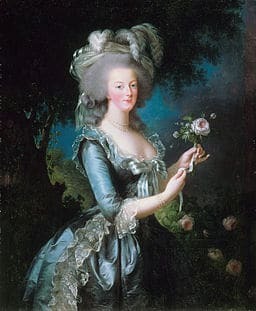 i believe i’ve read one thing in the past about marie antoinette and that is that maybe she was only about 13 years old when she made that infamous comment. I’m wondering if , just being a child. she may mot really have understood that if they didn’t have bread, why don’t they eat cake- maybe she was just so protected from the reality of poverty that she really didn’t know why they just didn’t eat ckee of they had no bread………anyway, i’m interested in your research and would love to see recipes from jews around the world…..
Love your enthusiasm, your recipes and stories. Keep on sharing and cooking! I was so satisfied to get recipees from the Old Testament experiences..with the feast days and the Birthright soup..also learning about the different cultures blended with Jewish foods in the time of the Jews in exile…I am sure your inquisitive research will bring some interesting insights that I will be looking forward to reading and collectiing. 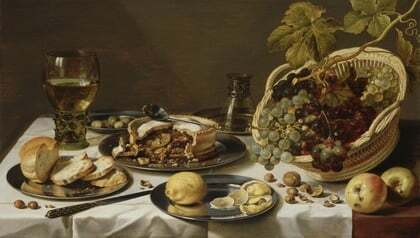 I am fascinated in finding out what people ate in ancient times; how did food affect their history; why did eating certain things become taboo in some places but not in others. How were dishes cooked, served, and eaten — and with what utensils. How did the availability of certain grains, fruits, vegetables, spices, etc. in a time without refrigeration effect the diet of the people of different areas. I agree that this should be fun! I am very excited to try making Jacob (Esau’s) stew! My husband is Jewish and my children and I have been studying his faith as well as Jewish culture! With Purim and Passover coming up in the next few months, I would so love to be able to cook more Jewish food (matzo ball soup ans potato latkes) have been my only ventures until now! I would also like to explore my own family history, and learn about some of the early Irish dishes! I love your blog, and your grandparents seem like such lovely people, I wish I had known them! Thank you for your blog!!! This is extremely interesting! We all know our food habits derive from our heritage and how we’ve modified and adapted over the years. The pictures of your family tug at my heart. I wish I still had the photos I remember looking at my parent’s wedding picture,etc. but what is ingrained is the food and methods of cooking. Eating the meals was even better! My mom baked the best bread and I would relish that flavor in my mouth right about now. I love everything about food! My love of food has brought me to the history of various cuisine. I have tried preparing dishes using the same types of utensils and techniques used at the time. This will be fun! Hi Shiksa! Shabbat Shalom. 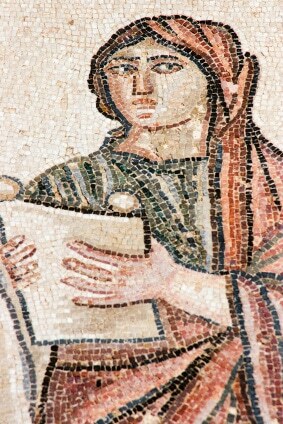 I’ve been reading the Rashi’s Daughters series, and would love to see some items from 10-12th century (Jewish) Europe. These are all fantastic ideas! Thanks for the input… keep ’em coming! I love this blog and looking forward to more. I love history! You have an interesting blog going. One idea, seeing how there are 6 continents (OK 7 if you include Antarctica, but I doubt that Antarctica has much culinary history) assign 1 continent per day of the week and look at an item of food history. For example Mondays you could look at European cuisine, Tuesdays Asian, Wednesdays African, etc. For the 7th day explore cuisine & how it influences & has been influenced by different religions. First time posting also. I originally joined your site because of the non-dairy recipes since I am lactose intolerant. But to answer your question of what part of food history I would be interested in grains. I have recently tried garbanzo flour (which is alright but the after taste is not so good) and I would like to expand into other areas that are gluten free. Food history is pretty special–I hope you enjoy studying it. It also helps us understand other parts of history. I am a historian and kept being bothered by the jobs of Anne and Margot Frank’s father, Otto Frank, and some of his associates. This led me to searching for the history of jelly and pectin and that quest set me on the search for the history of toast. What a surprise! If you are not totally successful, you certainly should be, and will be! I read the story about your Aunt Pauline and Carolyn, it was great. Your grandparents are lovely as well. You will continue and have covered some of the Jewish cuisine, and I enjoy that very much. How about the Roman/Greek period? what a lovely story of your fond memories of your Grandaparents. What about native American Indian food? I am *very* excited about this, as it mirrors my own interests, and I love your blog. What beautiful grandparents – may their memory be for a blessing! I hope you will explore Lithuanian and Polish foods, and also early American dishes, such as were first served in Colonial Williamsburg.